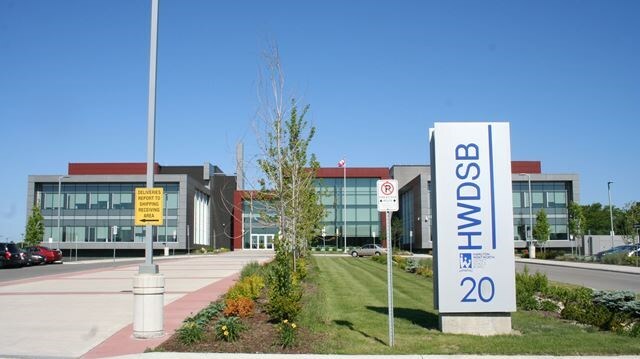 School Board Trustees will be presented with at least eight options which they will have to weigh against the problems this accommodation review was launched to address. With the final meeting of the West Hamilton Pupil Accommodation Review happening this week, it is a good time to reflect on the work that has been done so far, and the decision that will soon await the board of trustees. After a rocky start with an initial option of closing Hess School that angered many parents in the community, prompting a chaotic initial public meeting, the committee settled down to the hard work of coming up with a viable alternative. As of the second public meeting, five more alternatives emerged - carefully labelled 'ideas' to downplay any impression that one of them, or even all five of them, may have been a preferred option. B) No schools close, but the catchment areas are rebalanced and a French Immersion program introduced at Benetto to more evenly distribute students between schools. This option is also unable to access any new capital money from the province. C) Hess and Strathcona both close, and are combined into a new K-8 school to be built (likely enrolment c. 600). French Immersion program to be introduced at Benetto. D) Hess and Strathcona both close, and are combined into a new K-5 school to be built. Students would complete elementary school (until grade 8) at Ryerson as they do now. French Immersion would be introduced at Benetto. E) Central, Earl Kitchener, and Ryerson all close, and are replaced with two new K-8 schools in the area. Hess and Strathcona are both closed and consolidated into a new K-8 school. French Immersion would be introduced at Benetto. Idea E was the most controversial, apparently being proposed at the last minute at a poorly-attended, and hastily-called extra committee meeting designated just for preparation for the public meeting. Prior to the public meeting, one committee member penned an open letter to parents at Ryerson and Earl Kitchener describing option e as being a last minute idea, with no research, data, or consideration into its actual feasibility. Indeed, because Central School has heritage designation, and Earl Kitchener would likely be designated within weeks of any closure announcement, there is no viable location in the neighbourhood in which to build the suggested two schools. Also unaddressed is the very slim chance of the board being given the money to build three new schools by the province. Several members of the committee were also upset to see it offered at the public meeting as a viable consideration, due to confusion at the committee level over the last-minute suggestion and whether or not it would be included. Nonetheless, it remains as one of the options that will be presented to the board of Trustees when it meets in April to consider its options. Another of the much discussed understandings at the public meeting, was that the only logical location for ideas C or D was the soon to be closed Sir John A Macdonald High School property. Board Chair Todd White has publicly promised on several occasions that the property will not be surplussed and sold off, prompting speculation that it would make an ideal location for a new elementary school serving the neighbourhoods that currently attend Hess and Strathcona. With one committee meeting left on Wednesday March 22, the PAR group will be summarizing their information to present to the board in their report. It should be noted that under the new provincial rules for accommodation reviews, the committee does not make any formal recommendation, but instead presents a report for consideration. That said, there is nothing preventing the committee from indicating a preference for one or more options in the report. One potentially contentious issue remains, in that the final report will be drafted by staff after the final meeting, prior to its public release and presentation to the board before public delegations. Because of the controversial nature of the initial option, there is considerable distrust between some members of the committee and staff and the Board, leading to concern that the final report will be filtered in such a way that it may not reflect the consensus of the group, or accurately capture the range of concerns expressed the committee level. What will remain at that point will be a board of trustees presented with a dizzying array of options (at least eight), which they will have to weigh against each other to arrive at a conclusion as to how to address the problems described in the initial option: a number of under-enrolled schools that face enormous repair and maintenance bills on already sub-standard facilities. The public delegations on May 8 will no doubt play an important role in shaping the trustees' views on the various options, and if the prior two public meetings are any indication, they should be well attended, and feature a vigorous debate. You can still get involved in the process. I am not sure I understand the value of "accessing money" for a new school that really isn't needed when school closures would disrupt students, families and communities. ?? I have invented a name for this disorder. I will say that a group of people are suffering from a "Pharaoh complex" if they build a monument for themselves. Option B makes the most sense. There is no need to build a new school and take away from the communities. Having FI program will do a lot of good things to the North End and surrounding areas. I feel that today some children have a very long way to go to FI program at Earl Kitchener (those close to the NEmost boundary have more than 6! km to travel), and perhaps, based on distance alone, some parents opt out of sending their children to FI.